The concentrate of rose extract with natural, cold pressed oils effectively restores elasticity and energises the skin. This natural source of vitamins A, C, and E maintains optimal, healthy skin, smoothes existing wrinkles and prevents new wrinkles developing. It also invigorates and stimulates cell regeneration and counteracts the ageing process. Q10 coenzyme penetrates the cell membrane and assists the regenerating ability of the epithelium, smooth wrinkles, improves elasticity and regulates the hydration of the epithelium. 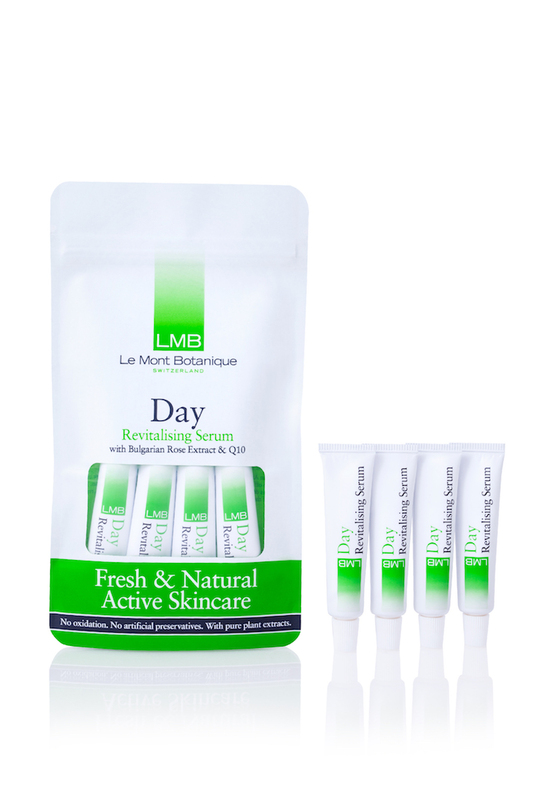 Suitable for use after applying LMB Primer Hydrating Tonic. Use in conjunction with LMB's Active Cleanser and Hydrating Primer for optimal results. After cleansing, apply to the face and neck. Shake well before each use. Twist cap off tube and squeeze serum directly onto the skin. This product is fresh, each 5ml tube should be used within 7 days, or refrigerate to keep for up to 14 days. Price not showing in your currency? You can change the currency in the top right corner of the website.